It's 13:21 in Marbleton, USA right now. Marbleton North - Traffic and Weather A view of the current traffic and weather situation. Boulder, Wyoming: Sand Draw - Traffic and Weather, 24 miles away. Chausse, Idaho: Boulder Summit - US-30, M.P. 452, 56 miles away. Alpine Junction, Wyoming: Traffic and Weather Alpine Junction, 62.9 miles away. South Pass City, Wyoming: Louis Lake - Traffic and Weather, 66.9 miles away. South Pass City, Wyoming: Traffic and Weather, 66.9 miles away. 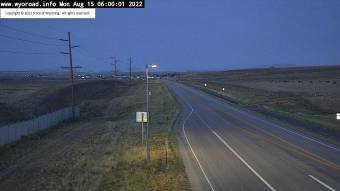 Sage, Wyoming: Sage Junction - Traffic and Weather, 67.1 miles away. Little America, Wyoming: Little America - Traffic and Weather, 71.1 miles away. Bryan, Wyoming: Peru Hill - Traffic and Weather, 71.4 miles away.